Why choose The Little Green Frog? Research has shown that both children and parents can benefit from parents returning to work but the quality of childcare is of critical importance. Simple involvement with their own community helps to develop a sense of self and belonging in children. While they are at nursery the children are taken to the park and on walks in our beautiful countryside locality to visit ducks, sheep and cows. Over the years we have taken the children to various places within the community including visits to the elderly at local care homes, theatre at The Otley Courthouse and Otley Fire Station. Your child will benefit from our carefully thought out environment, which is designed to be totally child friendly, with a range of play equipment and messy activities that would be difficult to provide in an ordinary home. The children play an important part in planning the nursery environment and we have had pieces of equipment bespoke made to suit our children. Children benefit from quality interaction with adults who care for them, the bond between child and carer is very important. Naturally, staff retention is a priority at The Little Green Frog and some of our staff have been with the nursery since our first years. As a team we have all grown together and strive to be outstanding in all that we do. Our recruitment and selection criteria are very rigorous and we have several practitioners with relevant degrees and postgraduate qualifications. In these important ways the children have continuity with highly qualified and sensitive staff which helps them to feel secure and make good attachments. Children benefit from their parents/carers working in partnership with the nursery. We know that you are busy and may not have lots of time to spare but you are always welcome to visit. 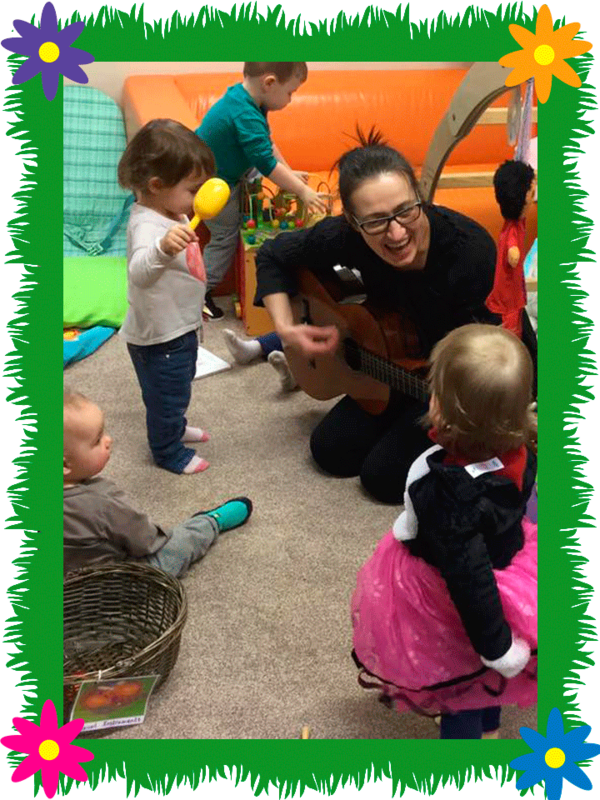 Activities you may like to get involved with include gardening, baking, story telling, playing musical instruments and singing. There also opportunities to meet other parents at social events and other special days. Finally, children enjoy and benefit from the company of other children. This helps their social development and prepares them for their life ahead. Having kept in touch with a number of children as they have grown up I know that friendships made at the nursery have lasted into secondary school. It is vital that you have confidence in the childcare that you choose for your child. At The Little Green Frog Nursery many parents phone during their day at work and we are always happy to tell you how your child’s day is going. We are also happy to answer any questions you may have, or listen to your suggestions to improve our care.